Nicolas Maduro was sworn in as president of Venezuela on April 19 in the presence of a number of Latin American presidents including, Rouseff of Brazil, Kirchner of Argentina, Ortega of Nicaragua, Morales of Bolivia, and even Santos of Colombia. A place of honor was given to the Cuban dictator, Raul Castro along with the president of Iran, Mahmoud Ahmadinejad, who as a regular visitor to Venezuela was also present for the ceremony. The irony is that even as Maduro was sworn in as president, the Electoral National Council (CNE), the body in charge of supervising elections, approved a recount of a portion of the votes (not all the votes as the opposition demanded). Due to the closeness of the vote and amid claims that there were about 3,000 irregularities on Election Day, the CNE agreed to recount 12,000 ballot boxes. The obvious contradiction is that the CNE which is an agency controlled by the ruling party, allowed Maduro to be inaugurated while new results could have led to a different electoral outcome. In that case, the CNE would have had to ask Maduro to step down. But I said “in theory” because there is no way the leader of the opposition, Henrique Capriles Radonski, would have ever been allowed to win. It is not only shameful and worrisome that the CNE has once again manipulated the outcome of the Venezuelan elections but that the Union of South American Nations went along with it. Indeed, UNASUR was convened in an emergency meeting to discuss the crisis in Venezuela. After a three hour debate the organization decided to recognize Maduro’s victory. At the meeting, eight heads of state recognized the outcome of the election. However, what is most unnerving is the fact that UNASUR also welcomed “the decision of the CNE to carry out the auditing and the recount of the votes” and called for a dialogue between the parties. Let us not fool ourselves about the statement by UNASUR which is nothing but complicity with the actions of the Bolivarian government. 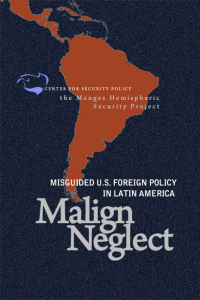 The contradiction in which the CNE is immersed also applies to UNASUR. How can they recognize Maduro and support a recount? Don’t they think that there is a contradiction between recognizing a president whose election is still in doubt and a few weeks later perhaps recognizing another president? It is obvious that the UNASUR leadership, like the Venezuelan CNE, cannot tolerate anyone but Maduro as president. The obvious reason is because Maduro represents a continuation of Chavez’s policies while Capriles Radonski would dramatically turn away from those policies. Chavez has been seen as a symbol of Latin American unity and regional economic integration even as many countries in the region support this idea including conservative ones. UNASUR countries also supported a call for a dialogue. These leaders are the same ones that witnessed Maduro’s inaugural speech as he blasted the opposition in a polarizing tone and spoke about “a revolution within the revolution” (which means nothing but the radicalization of the revolution). Furthermore, the Brazilian president, Dilma Rousseff and the Peruvian president, Ollanta Humala expressed concern over the threat of political instability in Venezuela. Do these leaders believe that there was stability in Venezuela before the April 14th elections? If there had been stability then how would new elections create instability? In other words, the cynicism of the Brazilian and Peruvian leaders reaches a climax here as both subtly expressed their preference for the authoritarian “stability” of the Bolivarian regime rather than supporting a democratic regime that includes different political and social voices. A few weeks ago, a highly placed Brazilian representative told me in a private conversation that no other regime has experienced so many elections like the Venezuelan regime. (Argentinean president, Cristina Kirchner, said the same thing.) He also added that there is a reason why Chavez came to power, perhaps suggesting that Chavismo is a historical necessity as many of his supporters claim and not simply an accident of fate. How does this justify an overwhelmingly authoritarian, fraudulent and thuggish regime like the Bolivarian one? Cristina Kirchner’s twitters are all religiously and ridiculously full of praise, nostalgia and tears for the Venezuelan tyrant who died on March 5th, 2013. 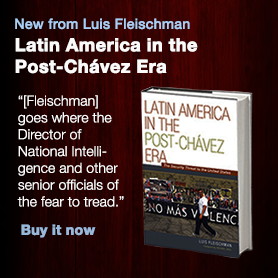 Many well-known academics, experts including some former and current high officials in the U.S. Government continue to say that things look good in Latin America without realizing or taking into consideration some of the more ominous developments there. For them “only consolidation of democracy and economic prosperity is on the horizon”. By their decision to rubber stamp the Venezuelan election while not even allowing the recount to take place, the Unasur countries have further legitimized authoritarian socialism which very well may have negative consequences for the future of democratic practices in the region.